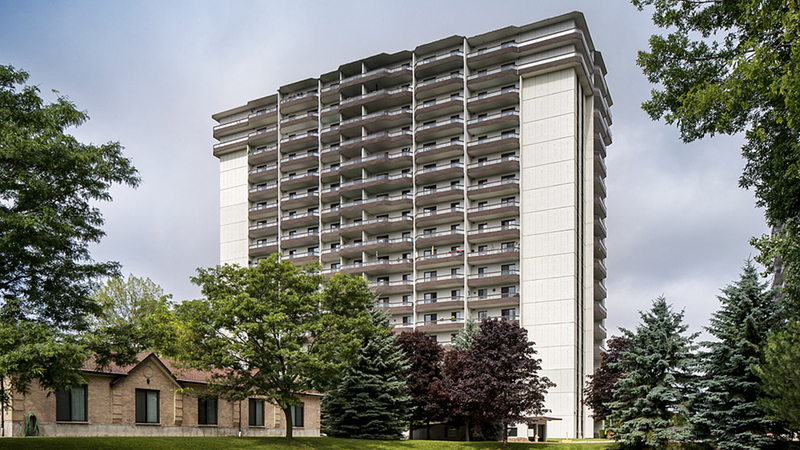 Margaret Place: Spacious and well appointed, Margaret Place offers inspired rental living. Condo-quality suites feature ample storage and closet space, master bedrooms with ensuite, and five appliances, including air conditioner, dishwasher and ensuite laundry. Renovated apartments have upscale options like walnut finish flooring and ceramic tile. Oversized balconies offer panoramic views of the grounds – six acres of manicured parkland. Building amenities encompass an indoor saltwater pool with change rooms, sauna, fitness room, barbecue patio, and a guest suite – the upscale comforts will impress! This property is recognized as a preferred address. Whether you're just starting out, in the middle of your career or an empty nester, you'll appreciate the exceptional quality and comforts of home.